In his homeland of Alagaesia, a farm boy happens upon a dragon\'s egg -- a discovery that leads him on a predestined journey where he realized he\'s the one person who can defend his home against an evil king. A young boy, Eragon, discovers a strange egg, and before he knows it, he is an apprentice to become a dragon rider, who will bring back justice to a country corrupted by an evil king. 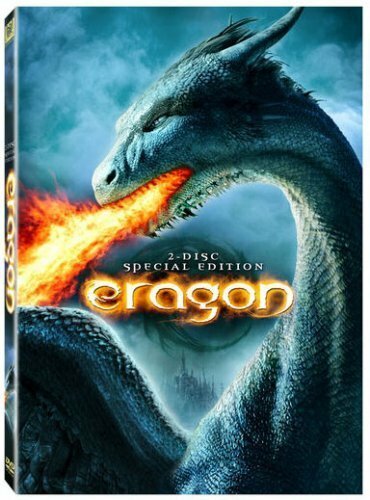 The plot is very simple, where we slowly learn more and more about Eragons heritage and abilities as he develops through skillful teaching by Brom (played by Jeremy Irons). The further we get into the movie, the more serious the threat from the evil king Glabatorix (played by John Malcovich) becomes. Nothing unusual about this, but as the minutes ticked by without no indication of rounding off the plot, I got worried - and with good reason. This is the first movie in a trilogy, and before you know it, it is over. No solution, build-up or even a decent cliff-hanger. It might as well have been a cut to commercials in the middle of the movie. I do not like that. I know it is based on a book, and, without having read the book, my guess is that the movie is a too literal translation. The pace of a book and a movie is not the same, and when converting a book into a movie, you have to be aware of this. The action is too slow and during the 100 minutes there just is not enough happening. Eight they should have squeezed the three movies into two or have added more detail to this single one. I have always liked Jeremy Irons and I think he delivers yet again in this move. His performance is adding another star to my rating. I am also a fan of John Malcovich, but here he disappoints me. I am suspecting the writing to be the reason. I have never been a fan of teen main characters, and this movie is not exception, in my opinion. Performance below average and he just seem too wimpy. This animation of the dragons and effects of fire, explosions etc. are all quite well done. They are not fantastic, but good. In general I was disappointed by this movie. I might have to see the next one, The Eldest, but I am not sure. To me it was below average. It might be recommendable to people, who have read the book or and fantasy/dragon fanatic, but a general movie viewer will get bored and surprised with the sudden cut to the ending.